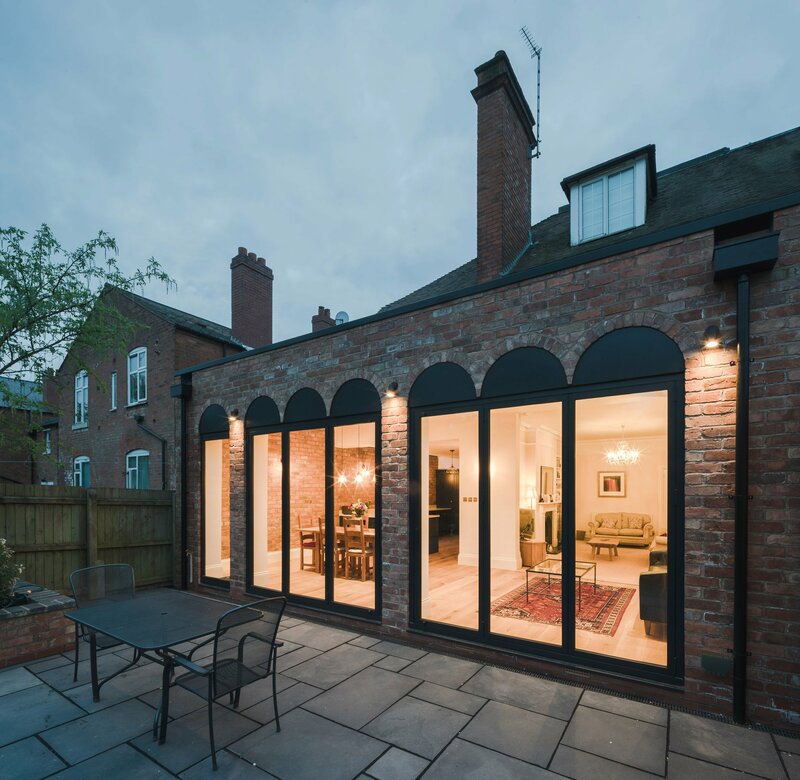 Local studio Intervention Architecture was asked to update the house in the suburb of Moseley to provide the singer’s family with an open-plan living, kitchen and dining room in an extension that references the heritage of the original property. Previously, the Choir Singer’s House featured a small single-storey extension that offered little dining space and natural light. “The previous forms were prohibiting use of the space and also providing limited access to natural light,” studio founder Anna Parker told Dezeen. “The rear elevation references the classical form of colonnade, as well as internal arches found in the original house, which create multiple points of entry with recessed material surfaces, along an otherwise straight-ended elevation,” said Parker. “A white marble worktop was chosen to enhance and reflect light with a fleck of detail and natural interest,” said the architect. Intervention Architecture was founded in by Anna Parker in Birmingham and has carried out projects that the transformation of a tiny Victorian coach house into writer’s home and studio. The post Colonnade-like glazing fronts Birmingham house extension by Intervention Architecture appeared first on Dezeen.